This is a great read about a notorious drugs syndicate that spanned Australia, New Zealand, the UK and beyond. The drugs syndicate, known as ‘The Organisation’ was spearheaded by a Kiwi-born criminal called Terrence ‘Terry’ Clarke, who started selling cannabis known as ‘Thai Sticks’ and graduated to trafficking heroin using his network of associates. The stakes were high and the rewards were big. 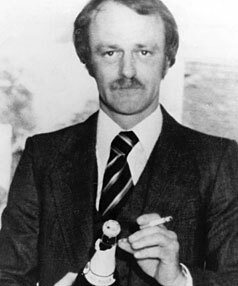 New Zealander Terry Clark was the head of global drugs syndicate called ‘The Organisation’. Author Richard Hall paints a comprehensive picture of this crime saga, starting with the murder of Kiwi man Martin Johnstone, the one dubbed ‘Mr Asia’ because he was The Organisation’s Singapore contact. Johnstone’s body, sans his hands, was thrown into a flooded Lancashire Quarry. This book, which I picked up at an op shop (a great way to find hard-to-get and out-of-print true crime reads) was published in 1981, after five men, including Terry Clark, tried under the name Terry Sinclair) were convicted for their part in Johnstone’s murder. The book details the court trial, the movements of the syndicate and how they smuggled drugs to various countries and the luxury lives these people led. 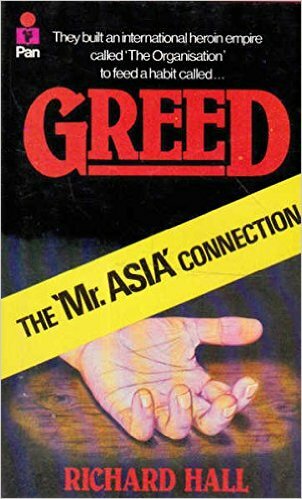 As the title of the book suggests, it was greed that led to the downfall of Terry Clark/Sinclair. Highly recommend this read. (I love that this copy is a Pan Original paperback.) It had been republished in the wake of the Underbelly: A Take of Two Cities series.